ISLAMABAD:�In less than a month since the coming to power of the Pakistan Muslim League-Nawaz (PML-N), which is considered close to the Saudi monarch, Riyadh has cleared a $100 million loan for swiftly completing work on the 969-megawatt Neelum Jhelum Hydropower Project. According to sources, a high-level Pakistani delegation will leave for Saudi Arabia on July 7 to strike the loan deal with the Saudi Fund for Development. Like China and Abu Dhabi, Saudi Arabia had withheld the loan during the tenure of the previous government. �We are also engaged in talks with the Abu Dhabi Fund to persuade it to release the $100 million loan, which was stopped until the settlement of a payment row between UAE�s Etisalat and the Pakistan government over privatisation of Pakistan Telecommunication Company Limited,� an official said. 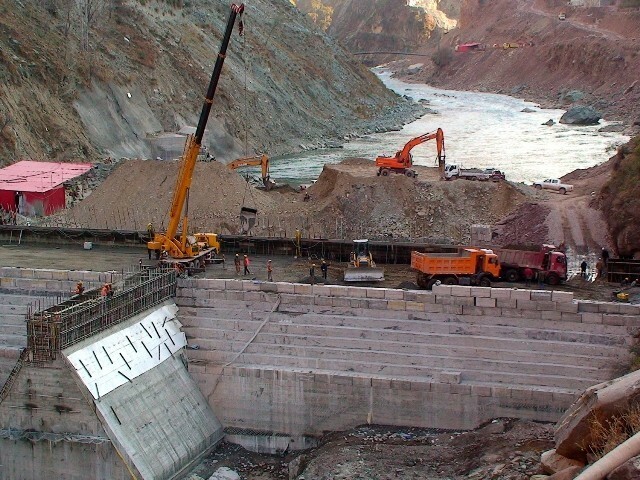 China also withheld $448 million for the Neelum Jhelum project during the rule of Pakistan Peoples Party-led coalition government and only cleared the assistance after the PML-N govt took over. The PPP government had encountered a host of problems in generating funds for Neelum Jhelum hydropower project and the delay caused a sharp increase in the project cost, which jumped 225% to Rs274.8 billion against earlier estimates of Rs84.5 billion. �The prime minister has asked the Ministry of Water and Power to probe the delay, which did not only send the cost soaring, but also sparked the worst energy crisis in the country,� the official said. The Planning Commission�s energy wing has also questioned the project�s execution programme. It pointed out that though the project won approval on December 12, 1989 at a cost of Rs15.23 billion, the cost was revised upwards to Rs84.5 billion on February 28, 2002. The energy wing also noted that the project was awarded to a Chinese firm without a firm commitment of financial assistance from the donors. Neelum Jhelum will be an expensive hydropower project as it will generate electricity at a higher cost of over Rs10 per unit compared to average cost of 16 paisa per unit for hydroelectric power. Consumers are bearing the cost of delay and inefficiency and are paying a surcharge of 10 paisa per unit in their electricity bills. Under this head, the government collects Rs6 billion a year to finance the project. Neelum Jhelum is a strategic project launched by the government to secure water rights over Neelum River, where India is also constructing Kishanganga Dam. Pakistan and India are locked in a legal battle in the International Court of Arbitration and a final decision is expected by the end of current year.